In this updated animated film, The Inflammasome signalling pathway, A/Prof Kate Schroder explains the signal transduction pathway of inflammasomes - molecular machines at the heart of host defence, inflammation and disease. During injury or infection, our body’s immune system protects us by launching inflammation. But uncontrolled inflammation drives diseases such as gout, diabetes, neurodegenerative disease and cancer. The Inflammasome Lab is defining the molecular and cellular processes of inflammation. We seek to unravel the secrets of inflammasomes – protein complexes at the heart of inflammation and disease – to allow for new therapies to fight human diseases. Rebecca joined the lab as a PostDoc in 2014. Rebecca's first primary author article in Nature Medicine has been widely acclaimed and is already highly cited since its release in March 2015. Rebecca recently discovered that our immune cells triage danger signals. Dave received The University of Queensland PostDoctoral Fellowship in 2014 to pursue his research in the Inflammasome Lab. He is interested in understanding how proteases are involved in health and disease and has a particular crush on caspases. 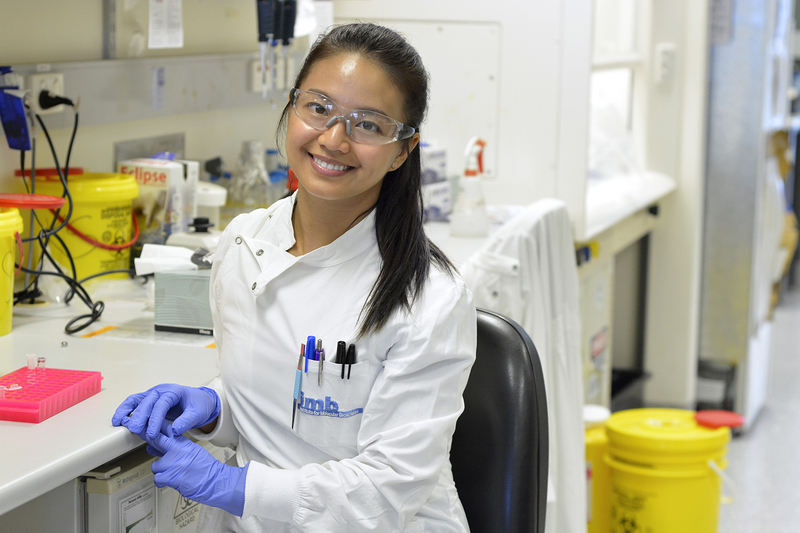 Mercedes joined the Inflammasome Lab as a Postdoctoral researcher in 2014 after completing her PhD at The Centenary Institute of Cancer Medicine and Cell Biology in Sydney. Mercedes is a microbiologist currently researching host-pathogen interactions. In addition to our current team, Kate has supervised PostDocs, Research Assistants, postgraduate students and undergraduate research interns. 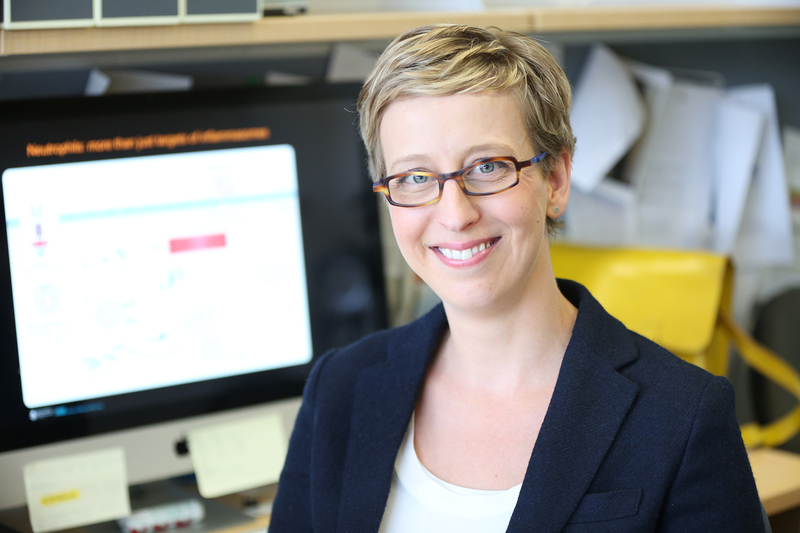 Associate Professor Kate Schroder's Inflammasome Lab discovered that inflammasomes normally function with an in-built timer switch, that ensures that their activation of the inflammation process is eventually switched off. This discovery featured in 16 international news articles and 2 TV news stories including those in: Health Medicine Network, The Medical News, SciCasts, Zee News, Yahoo! News, Business Standard, My Science, Science Newsline, EurekAlert!, and more. Read the news articles here. See Journal of Experimental Medicine for a complete list of citations, reviews and media attention this publication has recieved. Currently 25 international news articles and 4 scientific blogs have been written about the discovery including those in; The Journal (Ireland), Science Newsline, redOrbit, Today Topics, Medical News Today, The Medical News, Health Medicine Network, Drug Discovery and Development, EurekAlert!, and more. Read the news articles here. See Nature Medicine for a complete list of citations, reviews and media attention this publication has recieved. Kaiwen Chen and the team led by Dr Kate Schroder have uncovered a secret of an immune cell on the frontline that could assist with developing new treatments for inflammatory diseases. “We have found that a type of immune cell doesn’t self-destruct like other cell types in our immunological army, and for this reason, it may be a key driver of inflammatory disease,” Dr Kate Schroder said. The discovery was published in the prestigous journal Cell Reports. University of Queensland commercialisation arm, UniQuest, among the top bodies of its kind in the world for turning research into dollars. Dr Larisa Labzin won the National Health and Medical Research Council (NHMRC) Frank Fenner Award for being the top-ranked researcher awarded an early-career NHMRC fellowship in 2016. As part of her fellowship, Dr Labzin will spend two years working with Dr Leo James at the MRC Laboratory of Molecular Biology in Cambridge, UK, before returning to Australia to work in Associate Professor Kate Schroder’s laboratory at IMB. The award is one of the NHMRC Research Excellence Awards, which were presented at a gala dinner in Canberra on July 12. Kate Schroder was awarded the Milstein Young Investigator Award for her outstanding contributions to basic immunology research at the annual International Cytokine and Interferon Society Meeting in Melbourne. Seymour Milstein M.D. and his wife Vivian established the Milstein awards to foster interferon and cytokine research in the hope of developing new treatments for disease. “My research focuses on inflammasomes, which is a high-tech communication system that coordinates inflammatory responses by triggering production of cytokines. I feel honoured to be recognised for my research into the pathways of inflammation, and I hope to discover much more about our immune system in the future, ” Dr Schroder said. Dr Kate Schroder was among the 11 Queensland Tall Poppy Award winners in 2013, with palaeontologist Dr Gilbert Price named the Queensland Tall Poppy of the Year. Dr Kate Schroder characterises the fundamental pathways used by the body to detect microbes and launch anti-microbial defence programs. Kate’s research is helping us to understand exactly how the body fights infection and paves the way for the development of new anti-infective agents or vaccine formulations to combat infectious disease. Dr Kate Schroder one of 8 researchers celebrated at University of Queensland Foundation Research Excellence Awards. Kate received the award grant for her project, Pinpointing the initiation of immune response. She is researching the “inflammasome”, which activates the immune system during infection. “If we know the pathways that allow our bodies to fight infectious disease, we may be able to develop drugs to boost our natural defences,” Dr Schroder says. Dr Kate Schroder from The University of Queensland on Vimeo. Dr Kate Schroder receives one of four awards on offer at the Queensland Health and Medical Research Awards. Dr Schroder won Postdoctoral Researcher of the Year for her work studying the innate immune system, which provides general protection against infection from invading organisms. Dr Schroder found the active genes in the mouse and human innate immune systems differ by about 20 percent. This information, and the exact genes which differ, will be useful for immunologists using mice as a model for human diseases. A UQ collaboration including Kate Schroder has been awarded a research grant from The Michael J. Fox Foundation for Parkinson's Research and its major Australian funding partner, Shake It Up Australia Foundation. The collaboration includes the teams of five UQ researchers led by Associate Professor Trent Woodruff including Dr Richard Gordon, Professor Matt Cooper, Dr Kate Schroder and Dr Avril Robertson. Dave Boucher, one of three talented young researchers awarded UQ postdoctoral fellowships to support their promising research. 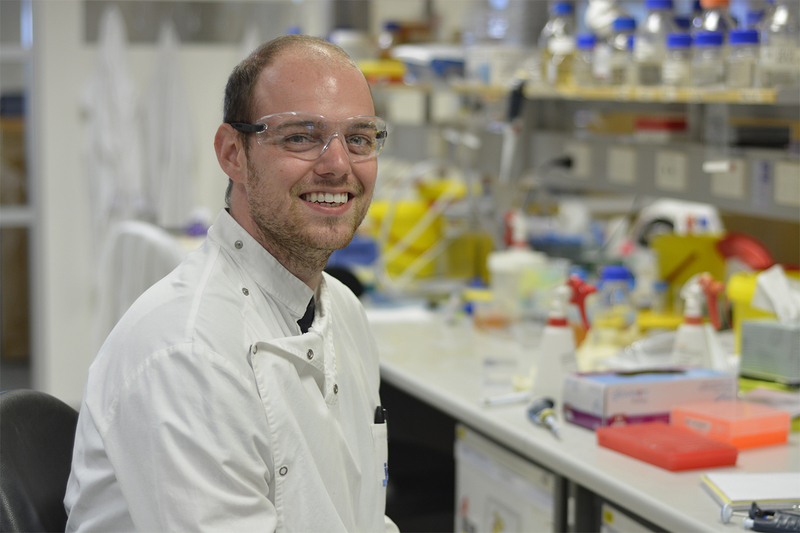 Young immunologist Dr Dave Boucher will use his fellowship to unlock the secrets of the inflammasome – a cluster of molecules that trigger inflammation in the body. His research, performed in Dr Kate Schroder’s lab, will help us to understand how inflammasome dysfunction can contribute to chronic inflammatory disease. 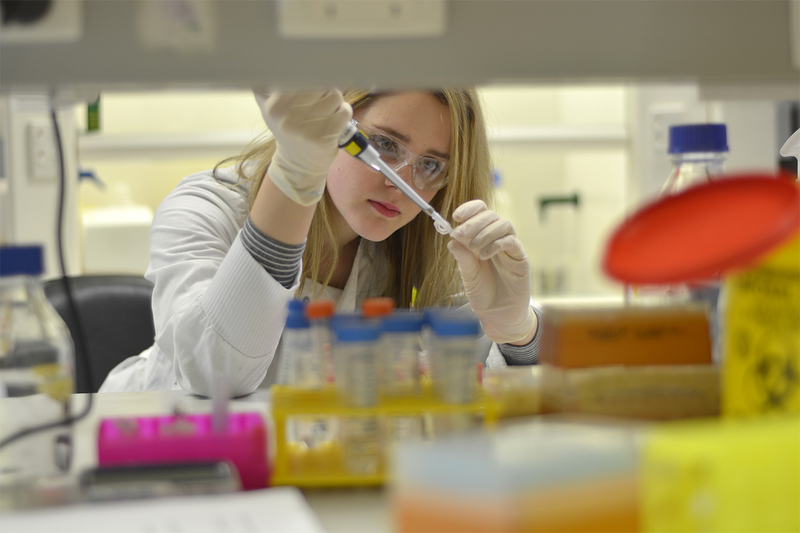 University of Queensland researchers will play a key role in a new $39 million research centre working to unravel the secrets of the immune system. In addition to researchers from La Trobe, Monash and The University of New South Wales, UQ’s principal investigator is David Fairlie, with associate investigators Matt Sweet, Kate Schroder and Ranjeny Thomas. Dr Kate Schroder receives project funding from the Queensland Government to combat type 2 diabetes, one of the fastest-growing preventable diseases in Queensland.